JNN 26 June 2014 Brasil : Latest Mosques Inaugurated in Copenhagen , Denmark to facilitate the Muslims Living in the area , and another Mosque ,was re opened in Aktobe , Kazakhstan to facilitate the Muslims . Denmark’s largest purpose-built mosque, including the country’s first minaret, opened on Thursday in Copenhagen’s northwest district after receiving a 150 million kroner ($27.2 million) endowment from Qatar. After years of wrangling, the Copenhagen Muslims are celebrating the opening of their 6,700 square meter complex that will house a mosque, a cultural center, a television studio and a fitness center. Representatives from the Church of Denmark as well as from the Jewish community were invited to Thursday’s inauguration. Some sceptical far-right parties have noted that the mosque has been financed by Qatar, and suspect that Qatar may use the mosque to spread its influence among Danish Muslims. “The Danish Islamic Council has full power over the rhetoric used here. And that’s why we were so happy with this donation: it’s a generous gift that comes with no demands,” he added. Islam is Denmark’s second largest religion after the Lutheran Protestant Church, which is actively followed by four-fifths of the country’s population. 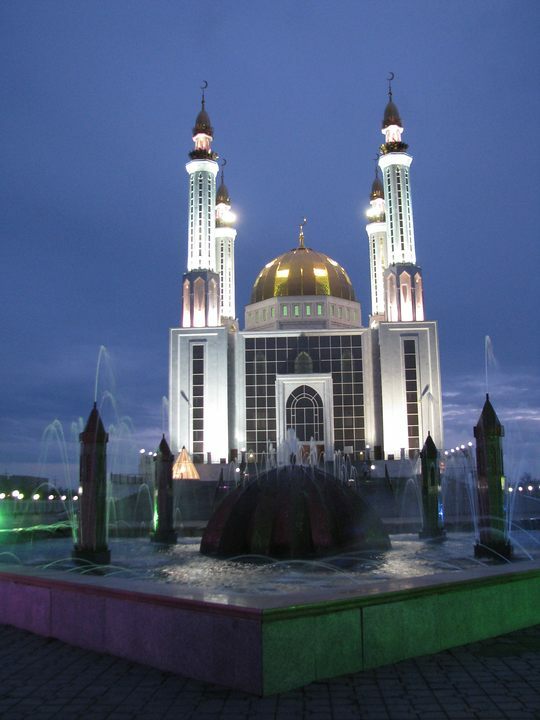 The central mosque of the city of Aktobe has been reopened in Kazakhstan. The mosque, which was built in 1903, could accommodate only 200 worshipers, and because of it two years ago by the initiative of the regional akim Arhimed Muhambetov it was decided to carry out repair work on the extension of the old complex. It was made a decision to build a big new mosque with a capacity of 1,250 people next to the old building and the building itself use as a museum. 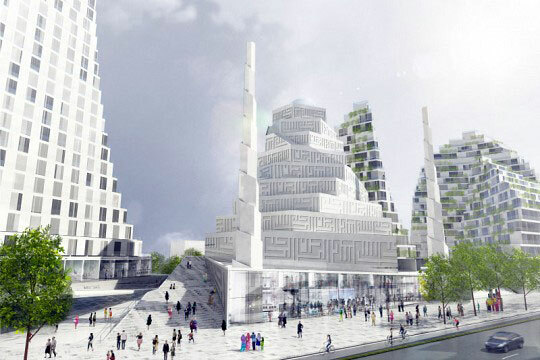 The new three-storied mosque includes male and female prayer rooms, administrative offices and a canteen. The construction was conducted on funds collected by citizens, local business and public organizations. The total amount of collected money has reached 700 million tenge. “The new mosque is equipped with modern equipment and meets all the necessary requirements,” said the architect Ayvar Sattarov, who has extensive experience in the construction of mosques. Such mosques as “Nur Gasyr” in Aktobe and “Kul-Sharif” in Kazan have been built under his supervision. This entry was posted in Europe and tagged Aktobe, Central Mosque Aktobe, Copenhagen, Danish Islamic Council, Denmark, First Mosque in Copenhagen, Kazakhstan, Latest Mosques in Europed. Bookmark the permalink.